For the Documentary Project, all Junior Freestyle students were challenged to locate an intriguing location or person in our local community and search within for compelling stories to answer the question "How do you authentically portray the untold stories of your community?". 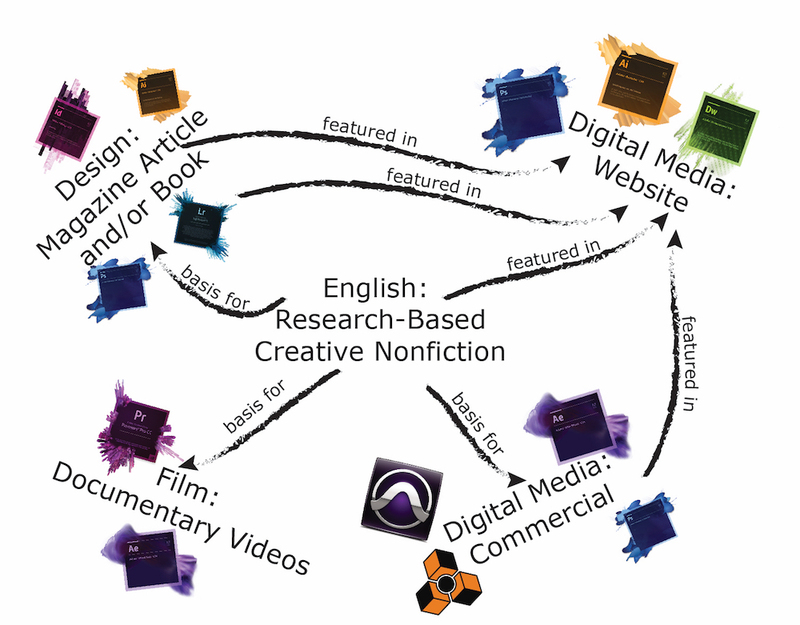 This unit emphasized sound research, "truth" in storytelling as well as argumentative structure necessary for effective documentary storytelling. Students chose their own Documentary topic and our goal was to integrate work done in all classes to create various productions around their chosen Documentary topic.